Space and Military Use – I Already Have a Watch. In space the X-33 is most often seen worn on the black Kevlar strap, though the titanium bracelet appears sometimes as well. Rarely it is also seen worn on a one-piece white velcro strap similar to (or the same as?) that used to fit around the spacesuit. The watch is issued to NASA astronauts and is often worn on the ground as well to build familiarity with the interface and operation of the watch, much like the astronauts of the Apollo program in the 1960’s and ’70s wore their NASA-issued Speedmaster Professionals on the ground. 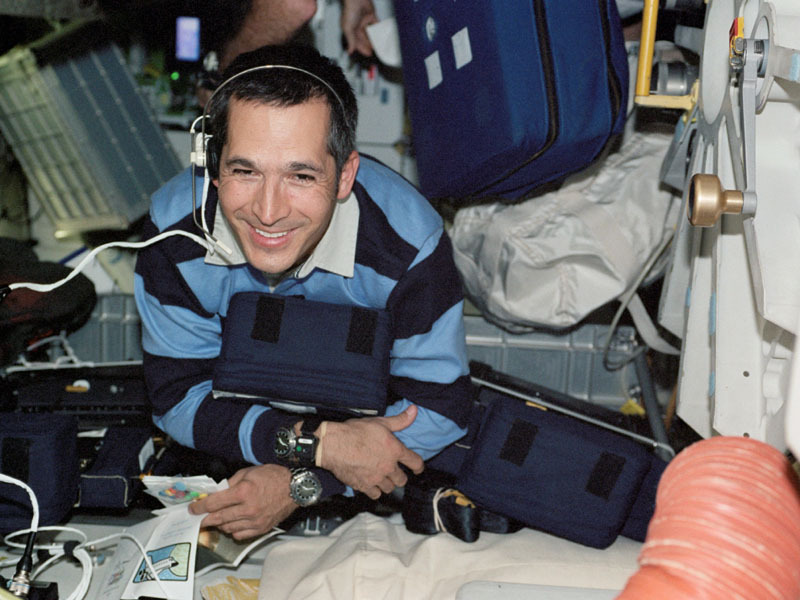 Mission Specialist John Herrington wearing two X-33s aboard Space Shuttle Endeavour during STS-113, Nov. – Dec. 2002. The other device on his wrist is an Actilight or similar bi0ometric monitoring device. Photograph courtesy of NASA archives. Notice that Herrington wears two X-33’s, presumably for tracking multiple experiments or to provide multiple alarm capability. Perhaps he wore one on the bracelet and one on the Kevlar strap to aid in distinguishing between the two watches intended for different purposes. 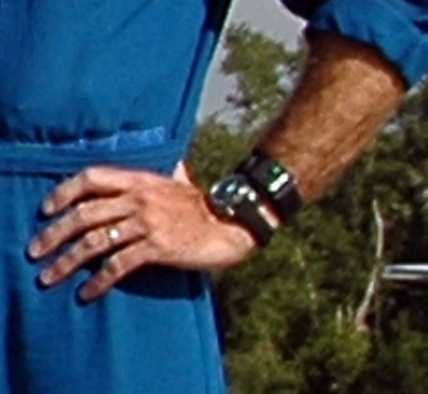 From examining NASA photos, the wear of two watches (often two X-33s) seems to be a common practice among shuttle and ISS crewmembers. Since the X-33 is not a good choice for any EVA maneuver for reasons detailed previously, the white spacesuit strap would seem somewhat mismatched with the X-33. 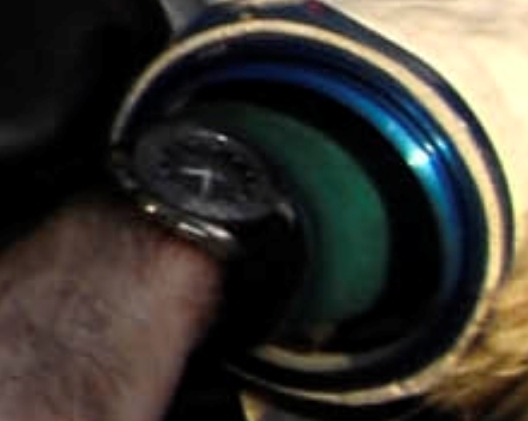 Perhaps the white strap is simply a field-expedient replacement for a failed strap or bracelet as Zalyotin’s watch appears it may only be secured by its lower lugs, possibly indicating a previous springbar failure on the OEM Omega strap. STS-107 crewaboard Shuttle Columbia in recovered photo. Godspeed, Columbia. Photograph courtesy of NASA archives. 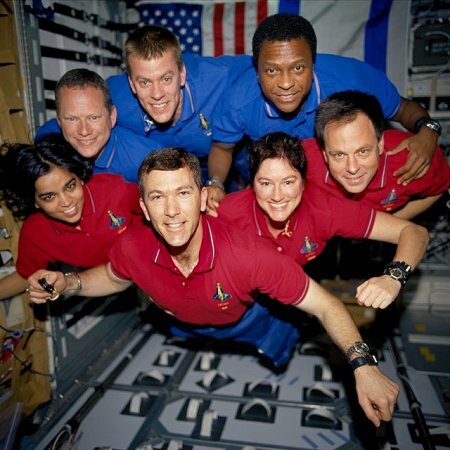 STS-107 crewmembers struck a ‘flying’ pose for the traditional in-flight crew portrait aboard the Space Shuttle Columbia. 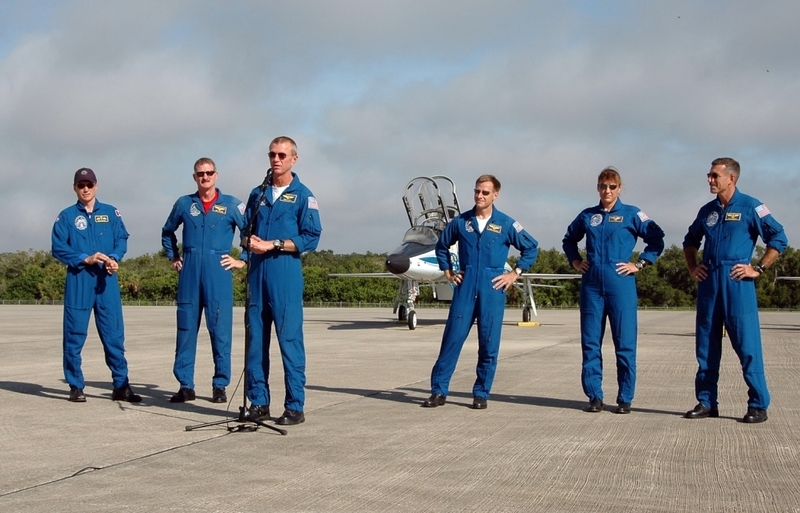 Rick D. Husband, mission commander, is pictured above in the center foreground wearing his X-33. 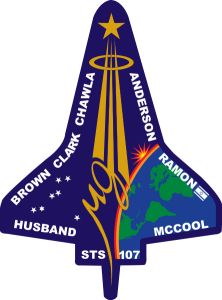 On February 1, 2003, the seven crewmembers were lost with the Space Shuttle Columbia over North Texas. This picture was on a roll of unprocessed film later recovered by searchers from the debris on the ground. Godspeed, Columbia. Photograph courtesy of NASA archives. 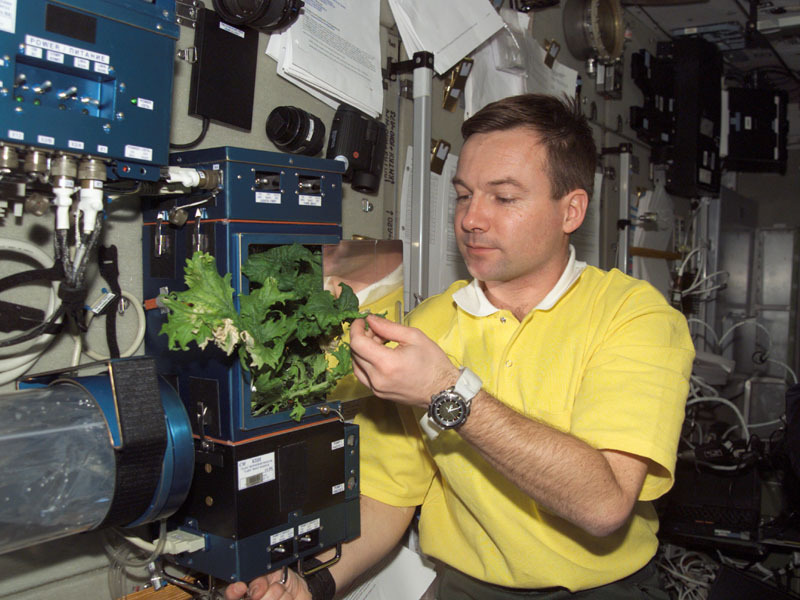 NASA Astronauts and Russian Cosmonauts aboard the ISS. On the ground in Kazakhstan following Soyuz mission to ISS, April 2007. Close-up from the above of NASA Astronaut and mission commander Michael Eladio “LA” Lopez-Alegria’s X-33. Crew of STS-115 on the ground with many X-33’s visible. Close-up from the above of NASA Astronaut Dan Burbank’s X-33 along with the Actilight, a wristwatch-like microcomputer biometric instrument equipped with an accelerometer and light meter which tracks ambient light levels and amounts of movement to gauge astronaut quality-of-rest patterns. 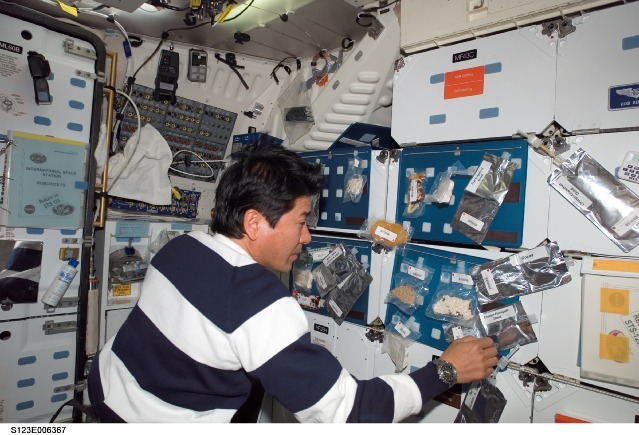 Japan Aerospace Exploration Agency (JAXA) astronaut Takao Doi, STS-123 mission specialist, looks over his choices of beverages and snacks at the galley on the middeck of Space Shuttle Endeavour while docked with the International Space Station, March 15, 2008. 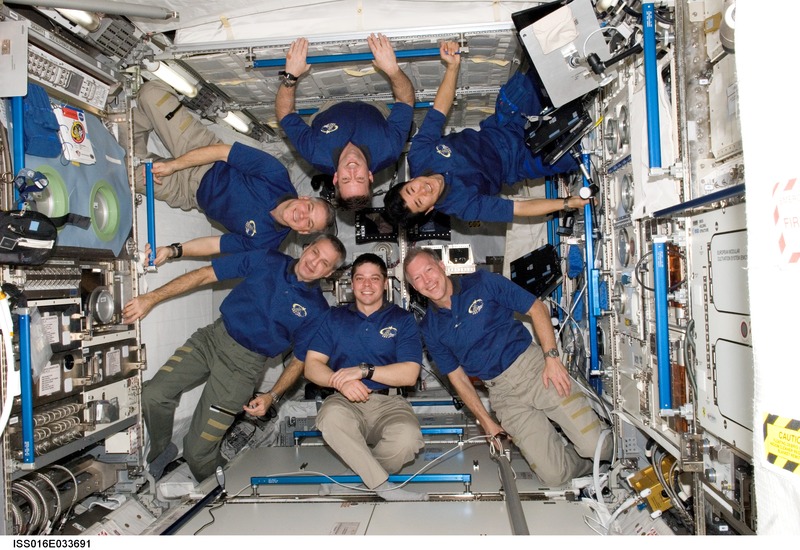 (24 March 2008) — STS-123 crew portrait aboard the International Space Station, March 24, 2008. All six cremembers appear to be waering X-33s. Crew of STS 124 (May-June 2008) poses for pre-launch photo, March 2008. Two X-33s are visible. Photo from NASA archives, zoomed portions added. With extensive military and professional input in the design phase, it seems only natural that the X-33 became a favorite among military aviators, especially fighter pilots. Omega makes the X-33 available to military aviators and aircrew at a substantial discount under the Military Pilot Program. In 2007 under the program the cost was approximately US$650 on Kevlar strap or $800 on Ti bracelet, with the Kevlar strap available separately for an additional $50. There is a minimum order quantity of 10 if an existing caseback design is used or 15 for creation of a new custom caseback design. 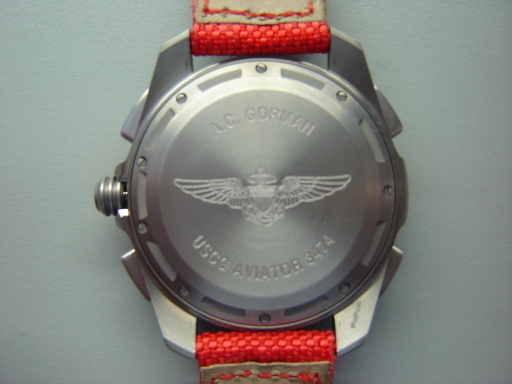 The watches can also be personalized with individual names, callsigns etc. for an additional $20. In exchange for the custom design and substantial discount (roughly 75% off last reported MSRP!) 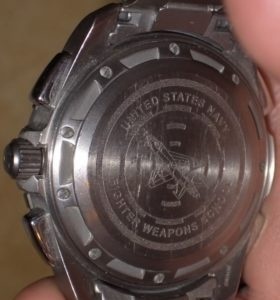 military purchasers under the program are required to agree not to re-sell the watch for at least 5 years, though they still pop up on the secondary market now and then anyway. They are still delivered in the same spacesuit material retail boxes. Gen 1 Military X-33 with custom F-15E caseback design, among the more common military designs seen on the secondary market. Gen 2 X-33 with custom insignia of Carrier Wing Three (CVW-3) of the USS Harry S. Truman (CVN-75) commemorating service in support of Operation Iraqi Freedom. 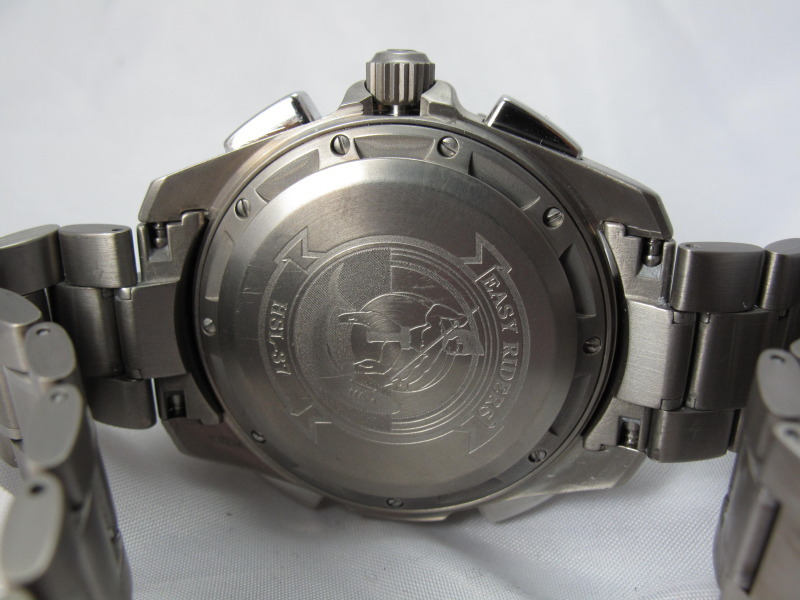 Custom military Omega Speedmaster X-33 with HSL-37 “Easy Riders” custom insignia. 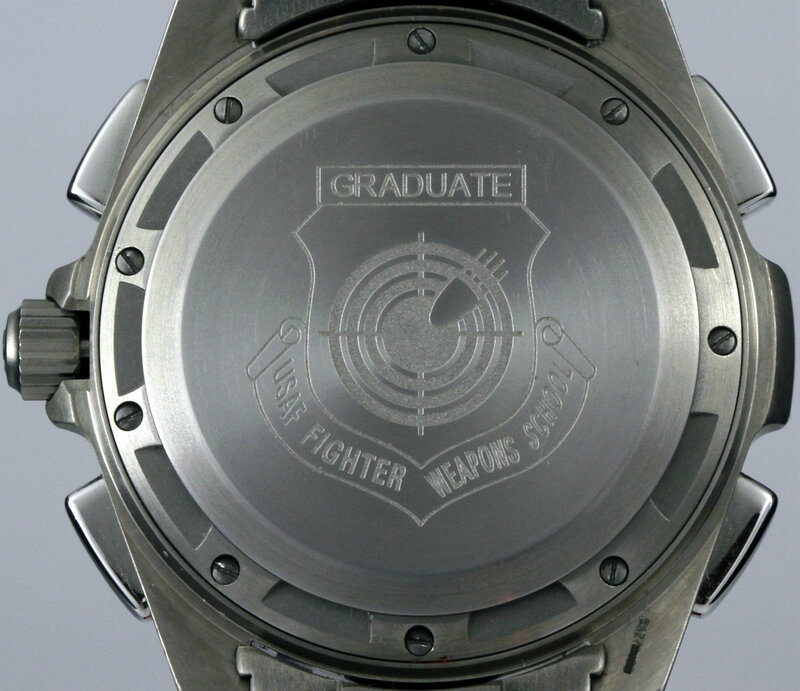 Custom military Omega X-33 featuring an Image of F/A-18 Hornet and US Navy squadron VFA-192, also known as the “Super Smoking Hot World Famous Golden Dragons” as indicated in the abbreviation just below the plane’s tail section. Note that this example features additional personalization with the call sign “Dynamo,” the radio ‘nickname’ of the original owner. 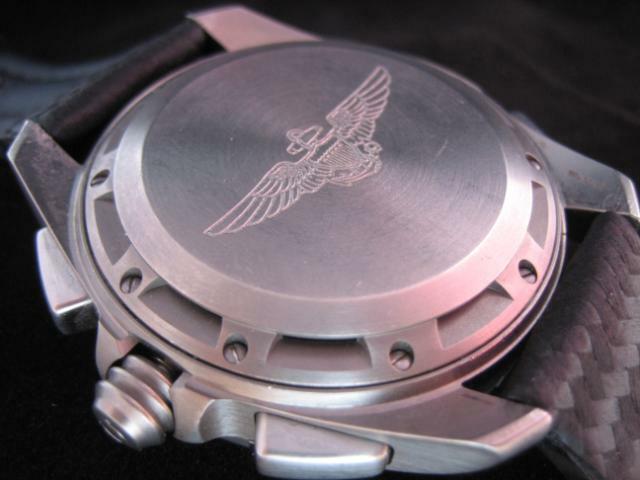 Gen 2 X-33 with Naval Aviator wings engraving. Military X-33 with Warranty cards. 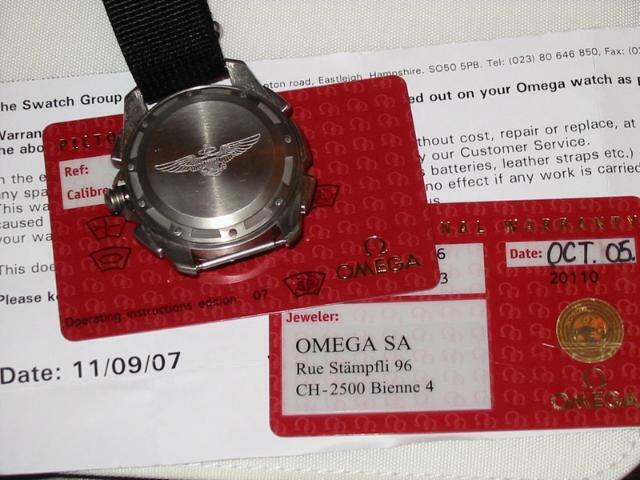 Note the Bienne factory address on the warranty cards, not that of an Authorized Dealer or other agent. Individual names and/or radio callsign personalizations can be added on request for an extra charge. The US Navy’s “Blue Angels” demonstration team is known to have had personalized versions for at least two seasons, and the US Air Force “Thunderbirds” demonstration team is known to have purchased some as well. In what is perhaps one of the X-33’s greatest accolades, these watches are “self-selected” and purchased privately by pilots and aircrew themselves out of their own pay – not government funding. 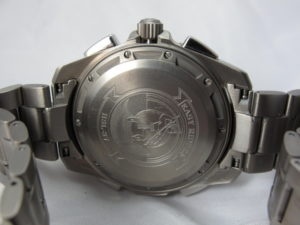 They buy the watches because they like them well enough to pay for them and regard them as “real” pilots’ watches, not because of any elaborate marketing schemes or because the X-33 is issued to them for free. Omega seems to have mostly chosen not to publicize or market this aspect to the public, perhaps to preserve the X-33’s image as a “space” watch and distinguish it from the plethora of watches already marketed as “pilot watches” by dozens of manufacturers. 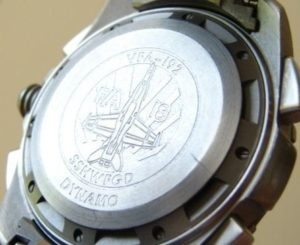 In 2004 these military versions of the X-33 were assigned their own special PIC of 3291.52 on bracelet and 3991.52 on Kevlar strap. It is not known if there are any distinctive markings (aside from the obvious difference of the custom caseback engraving) inside our outside the watch that would otherwise distinguish a military variant from a regular production model. 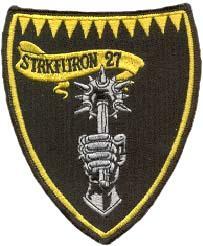 In September 2007, SGUSA confirmed that the program remained active. In November 2009 agents of SGUSA re-confirmed that the program still remained active. I have no idea if the information I have about the Military Pilot Program is still current or if the program is still active, so please do not contact me asking for information regarding the program. Preiously I’ve had the best luck by calling Swatch Group USA at (201) 271-1400, asking for the special sales department, and being polite and persistent. It’s a small niche program that’s apart from regular sales channels and if you’re unlucky you might have to call a few times before you get routed to the right office. Is the military program still active? Who do I have to contact? Jay, the X-33 has long been discontinued and you would be lucky to find one new at a watch retailer. They are also becoming less common in the pre-owned market too. You will most likely find one or two being sold on eBay but you take your chances going down that route. I have one (not for sale) and can recommend it. Paul, I am happy to tell you your information is incorrect. I and 14 of my fellow pilots (USAF) just received our watches in the mail last week. So as of April 2014 the program is still up and running! A shame it is no longer available. One of the last of the original analog pilot watches.